See the full line of products available in our 10-year anniversary catalog. 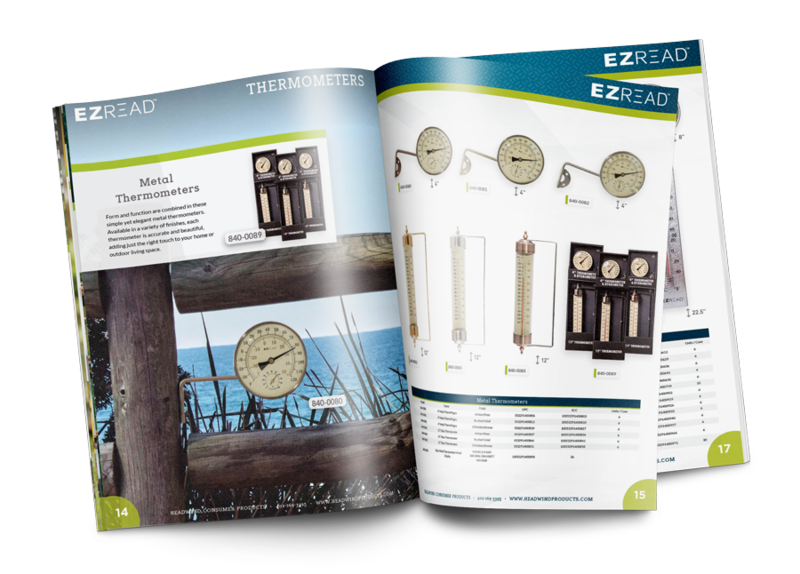 EZRead rain gauges and thermometers are both accurate and easy to read and can be used indoors or outside. From -40 to 140 degrees and up to 10 inches of rain, we have the thermometer and rain gauge to fit your needs. Garden Splendor solar lighting adds functionality and beauty to any outdoor space. Our solar lights are ideal for gardens, yards, pathways or memorial landscapes and are a great way to brighten up your home. RAISE ITS are an innovative solution to elevate furniture to a new height. With different sizes and shapes, our solution fits with any furniture. The sturdy design and anti-skid pads make it perfect for nearly any floor surface. Headwind Consumer Products is a Nebraska-based parent company of EZRead, Garden Splendor and RAISE ITS. We focus on producing high quality products for home and outdoor living and supporting those products with great customer service. Today we are proud to offer over 200 products to meet our customer demands. © 2019 Headwind Consumer Products.